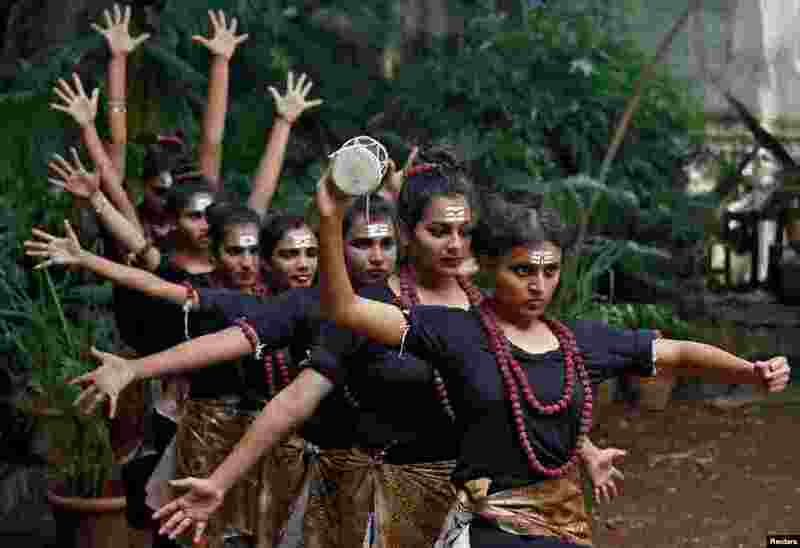 1 Students dressed as Hindu Lord Shiva, also known as Nataraja, the Lord of Dancers, during a religious event in Mumbai, India. 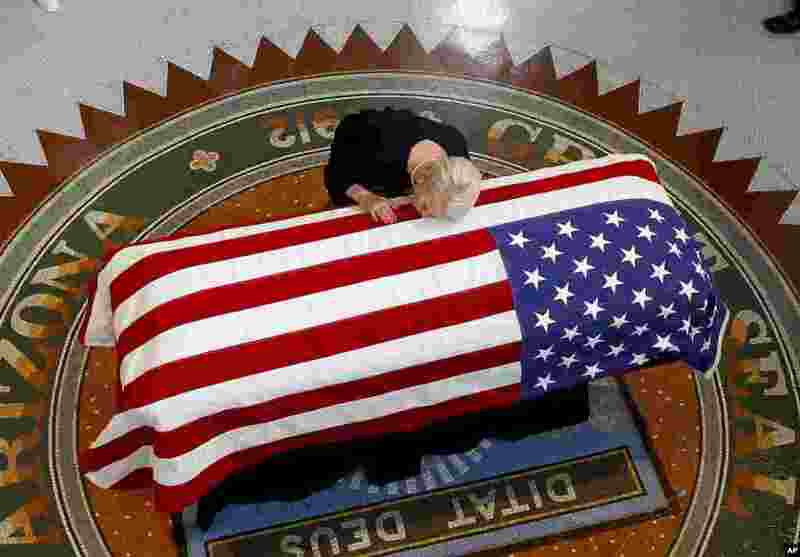 2 Cindy McCain, wife of the late Sen. John McCain, R-Ariz. lays her head on casket during a memorial service at the Arizona Capitol, Aug. 29, 2018, in Phoenix, Arizona. 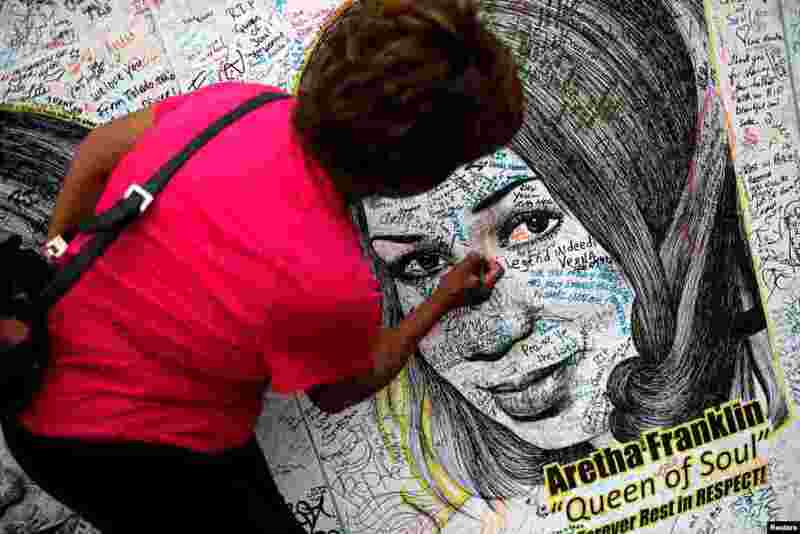 3 A woman writes on a large drawing of Aretha Franklin outside the Charles H. Wright Museum of African American History on the second day of a public viewing of the late singer in Detroit, Michigan, Aug. 29, 2018. 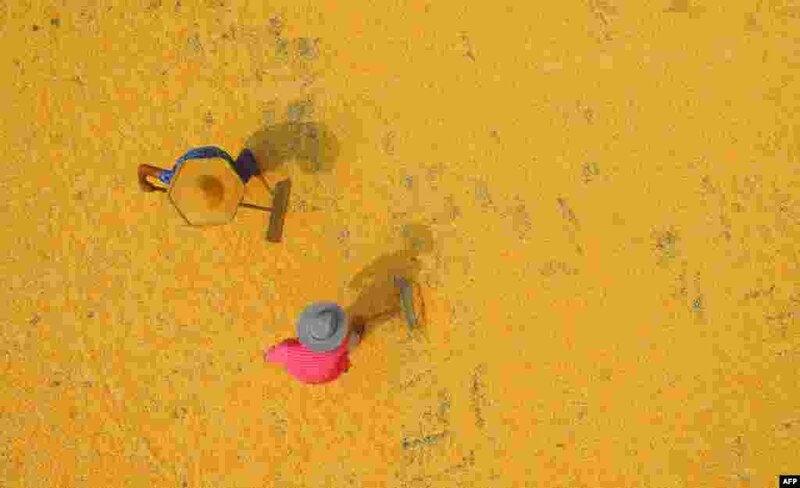 4 Farmers dry corn during harvest season in Tancheng in China's eastern Shandong province.